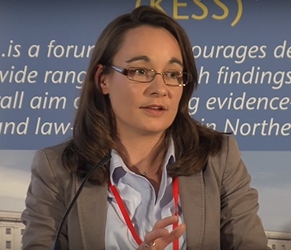 Dr Katy Hayward examines Lord Bew's assertion that there is a fundamental tension between the principles of the Good Friday Agreement and those of the backstop. Lord Paul Bew, formerly of Queen’s parish, has published a paper on Policy Exchange claiming that the backstop “would turn the Good Friday Agreement on its head” and “risks generating further difficulties for the peace process”. In it, he builds upon a speech he gave in the House of Lords last December. Bew’s argument is that there is a fundamental tension between the principles of the Good Friday Agreement and those of the backstop. In fact, he sees the backstop as evidence of the Irish government “weaponising” the 1998 Agreement in order to protect its economy; this is despite the fact that it is an outcome of careful negotiation between the UK government and the EU Commission Taskforce on Article 50, not the Irish. As such, he somewhat diminishes the role of the British government and exaggerates the influence of the Irish government in this process. Building on from this, Bew makes strong claims which are worth considering carefully as they evoke the very suspicions and tensions that we hoped had been defused through the 1998 Agreement, i.e. between UK and Ireland, and of unionism towards the Irish government. First, Lord Bew complains that there is a fundamental problem for the 1998 Agreement if there is not ”bottom-up consent”. In fact, European integration centres on a principle for ensuring this is the case: subsidiarity. What is more, it is enshrined in the Treaty on European Union (Article 5). It rules out EU intervention when an issue can be dealt with effectively by member states at central, regional or local level. 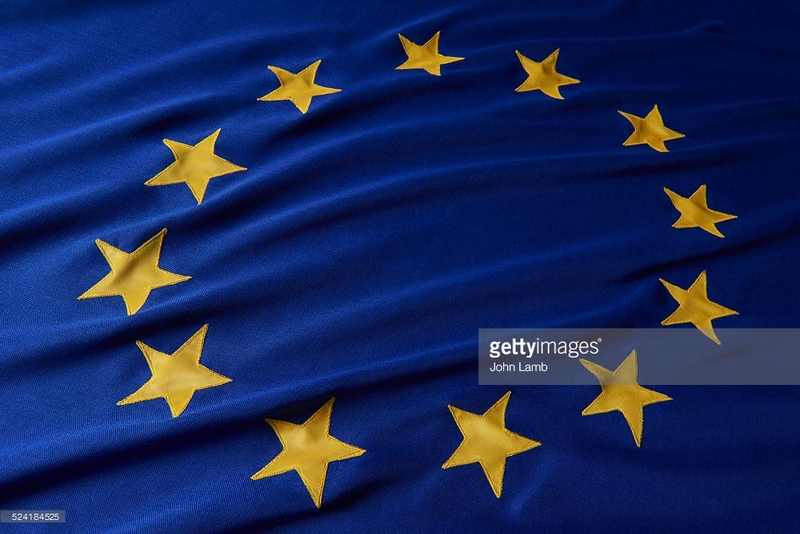 As such, the principle of subsidiarity puts the onus on the member states to ensure that democratic control is enacted at the lowest possible level. After Brexit – Protocol or no Protocol – where democratic control is enacted is a call for the UK. But, admittedly, there is already a problem with this in Northern Ireland. We cannot be said to have democratic control at the moment: upwards, backwards or any way around. Only eleven of Northern Ireland’s 18 constituencies have a MP who takes their seat in the House of Commons – and of those, only 1 of them represents the view of the majority vote from Northern Ireland on Brexit. None of the 90 MLAs who are paid to sit in Northern Ireland’s devolved legislature are, well, sitting there. Lord Bew’s argument that the Good Friday Agreement’s approach to north/south regulatory arrangements is overturned by the Protocol assumes that the arrangements will be made in the interests of Dublin and without Northern Ireland input. This is wrong, not least because it again downplays the role of the UK government, this time in the implementation of the Protocol. Look, for instance, at the bodies it proposes: The UK-EU Joint Committee could have a Northern Ireland presence, the Specialised Committee could have serious scope for Northern Ireland representation, and the Joint Consultative Working Group could allow a loud Northern Ireland voice to be heard in the consideration of relevant proposals. All of this is to play for – and this is what politicians who care about the future of Northern Ireland should be focusing on now. In his speech, Lord Bew presents the example of Article 10 on the backstop which he interprets as saying that neither the UK or Northern Ireland authorities “are allowed to carry out checks on farming in Northern Ireland”. This is simply not true. Article 14(1) states that “the authorities of the United Kingdom shall be responsible for implementing and applying the provisions of Union law made applicable by this Protocol to and in the United Kingdom in respect of Northern Ireland”. To complain that the backstop imposes a “top-down” approach in this area is an odd tack, given that the backstop merely seeks to maintain the level of cross-border cooperation currently enjoyed and long approved by the Northern Ireland Assembly across a range of areas. Also odd is Bew’s lament at the “disappearance of paragraph 50 from the text of the December agreement”. This paragraph contained a commitment that “the United Kingdom will ensure that no new regulatory barriers develop between Northern Ireland and the rest of the United Kingdom”. The clue there is in the wording: this is a commitment from the United Kingdom. It is about London’s commitment to the union. An international UK-EU treaty is not the place for this. That said, the Protocol contains something far greater than a small paragraph in a joint report of good intentions. The Protocol in the Withdrawal Agreement contains what would be a legally binding commitment of the British government to form a customs union with the EU – the vital means of avoiding customs controls on the Irish border. And what the British government has offered on top of this (in the paper on 9 January) is a commitment that Britain and Northern Ireland rules will not diverge in areas covered by the Protocol i.e. areas necessary to prevent a hard border in Ireland. In effect, this means a commitment from the UK not to diverge from EU rules. Why aren’t unionists seizing on and pushing this commitment to put alignment into legislation and to make the most of the Withdrawal Agreement institutions for representing Northern Ireland? Where are the unionist parliamentarians who are willing to put forward requests (or demands) about how devolution might be pushed for all it is worth in post-Brexit UK, rather than merely reviving the old habit of pointing an accusatory finger towards Dublin?